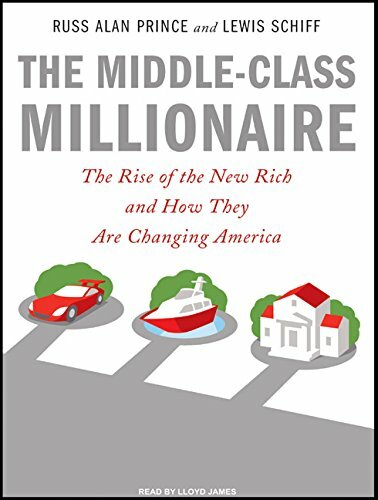 In this groundbreaking book, Russ Alan Prince and Lewis Schiff examine the far-reaching impact of the middle-class millionaires-people who enjoy a net worth ranging from one to ten million dollars who have earned rather than inherited their wealth. Comprising 8.4 million households, these working rich are exerting a powerful influence on our attitudes and on society. They believe in the benefits of hard work. They believe in investing in themselves and in supporting their values with their pocketbooks. From home security systems to health care, technology to travel, their spending choices are affecting the products that are available to us all. In the bestselling tradition of Bobos in Paradise and The Millionaire Next Door, The Middle-Class Millionaire is a captivating narrative-part sociology, part aspirational journey into the lives, attitudes, and values of the middle-class millionaires. Based on extensive surveys and research into more than 3,600 middle-class millionaire households around the United States, this book will reshape our understanding of what it takes to be successful-and how all of us can achieve similar success.